Apps are getting more and more specialized. Now there’s an app tailored to insurance professionals and their need to pass claims information securely from and to their iDevices. 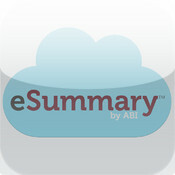 eSummary Mobile from ABI Document Support Services is trying to fill that niche with its iPad and iPhone app. It really is the mobile version of its pre-existing eSummary software. It is essentially an encrypted file-sharing tool with an insurance bent, in that it allows access to insurance claims files and attached documents, in Microsoft Word and Excel, Adobe PDF and other file types. 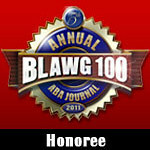 It also permits cross document and folder searching of file names and key words. The security is decent, with AES, 256 key encryption on the device and SSL encryption during transmission off the device. Moving around in the app is slick with swiping and zooming within and between docs. No pricing information available on their website, but there is definitely worth to purchasing good encrypted applications when performing functions with sensitive data. ABI Document Support Services clearly recognizes that professionals want to be able to use their familiar mobile devices to interact with their important data, so go check out the app and request a free demo to see if it would be worth it to you to manage your claims while on the move.